MESA has learned that over the course of the past months numerous professors have been fired and students expelled or suspended from universities without due process. Between July 2013 and July 2014 alone, over 468 students had been suspended or expelled from at least ten universities, including Cairo University, Ain Shams, al Azhar, Helwan, Alexandria University, Zaqaziq, Mansoura, Minufiyya, and Kafr Sheikh. In at least 275 cases, the students have been permanently expelled. As the Dean of Faculty of Science Mohamed Saleh told Al-Ahram Arabic regarding the expulsion of 94 students from Cairo University, the expelled students will not be able to apply to any other university, whether public or private, as the decision of their expulsion was reported to the Supreme Council of Universities. Until January 2014, Egyptian law stipulated that students facing suspension or expulsion had the right to attend the relevant hearings, to hear the charges against them and to defend themselves. They also had the right to be represented by a lawyer, and to appeal the verdict. Many students expelled in the last year allege that they were not summoned to any disciplinary hearing and were not presented with any evidence of the charges against them. Some students have been expelled even when there is clear evidence of their innocence, as in the case of Ahmed Nour al Din, a junior at al Azhar. Mr. Nour al Din attended a demonstration on campus only to photograph it for the Association for Freedom of Thought and Expression (AFTE), where he served as a volunteer. Even though AFTE provided the university with a letter explaining Mr. Nour al Din’s activities, he was expelled for allegedly participating in the demonstration. The changed regulation removes important protections against the abuse of power by university presidents. For example, in July 2014 the student union of the faculty of engineering of Cairo University met with their dean to protest the case of 18 suspended or expelled students, only to hear that in light of the changed law the dean could no longer do anything to help them. In addition to the amended University Regulations Law, the boards of two public universities, the University of Beni Suef and Ain Shams University, have announced that beginning this year, they will expel any student who insults or defames the president of the republic. Mohamed al-Toukhi, Vice president of Ain Shams University, in a statement to the media, went further to specify that the university shall refer to a disciplinary hearing any student who “wrongs” state officials and insults state symbols. We are deeply dismayed by the steps taken by the Supreme Council of Universities and the boards of individual universities. MESA calls upon Your Excellency to work towards a reversal of the January 2014 changes to the University Regulations Law, in order to restore students’ rights to a hearing and to defend themselves against specified charges. MESA further calls upon you to work towards the abrogation of the recent changes to individual universities’ regulations and to withdraw insults to state officials and/or state symbols as grounds for prosecution. Apart from the violations of academic freedom of students, the situation of university faculty is unfortunately hardly better. At least eleven faculty members have been fired in 2013 and the first half of 2014. In some cases, the official charge for dismissal was that faculty members failed to perform their teaching duties, but the reason why many failed to do so was that they were attempting to circumvent arrest due to their political opinions. Moreover, recent actions by the Minister of Endowments have made it easier for universities to fire faculty, not for their absence from campus, but for their political leanings. In statements to Al-Akhbar Al-Youm in late August 2014, the Minister of Endowments, Mohamed Mokhtar Gomaa, called on universities, especially Al-Azhar University, to remove professors and deans affiliated to or sympathetic with the banned Muslim Brotherhood. The Minister commented that “extremists” and “affiliates of the terrorist society” needed to be purged from universities ahead of the academic year, which will begin September 27. In particular, he stated that action should be taken against the group known as “Academics Against the Coup,” whose names and identities were purportedly known to Al-Azhar University’s board. 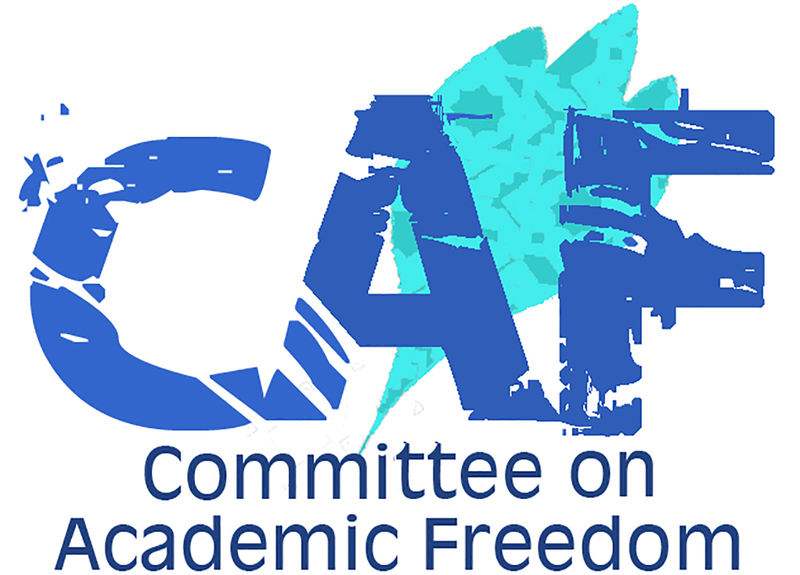 MESA notes with alarm the participation of not just one but several bodies and ministries in the severe deterioration of academic freedom in the country. The ministries of education, endowments and interior, the Supreme Council of Universities, as well as the boards of individual universities work hand in hand to exclude both students and faculty who express dissent. But freedom of speech, and the right to dissent and to loyally oppose an incumbent government are pillars of a free and democratic society. They are also the pillars of legitimate government. To withdraw these rights means to withdraw from the government one of the foundations of its legitimacy. MESA urges you, Mr. President, to work with the relevant authorities in Egypt to ensure and protect the free exchange of ideas, freedom of expression in all forms, and the unrestricted pursuit of academic research for both students and faculty without intimidation or persecution.